There are some corrective treatments that are best done in Fall and Winter because of increased outdoor activity during Spring and Summer. But that doesn't mean we have to postpone all corrective treatments until Summer comes to an end! Chemical peel treatments, among others, are a great corrective option for those that are diligent with wearing their sunblock year-round. "Chemical Peel"... sounds scary if you've never had one! 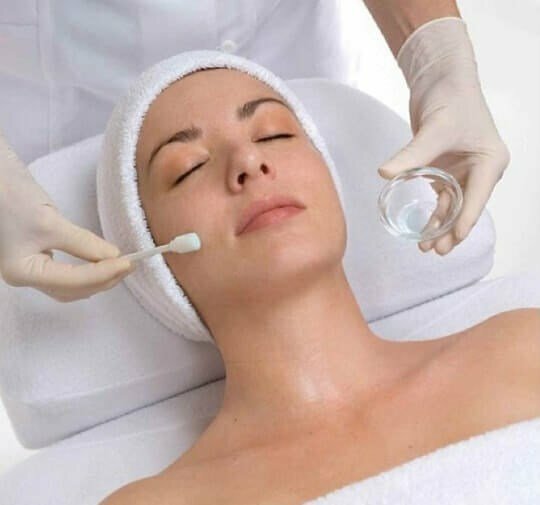 There are several types and depths of chemical peels to suit different individual needs, many requiring no downtime. So, what types of skin concerns are chemical peels able to correct? Peels can be done on the face, neck, or hands. In office, your clinician will thoroughly cleanse your skin and the peel is either applied layer by layer, or massaged in, depending on the peel. Typically a lightweight calming moisturizer and physical sunblock is applied to your skin at the end of the treatment and you can go about the rest of your day! If peeling of the skin occurs, it will start 48-72 hours after your treatment, and can last from 1-5 days, depending. For correction of most skin concerns, a series of 3-6 peels is suggested, and may be repeated every 4-6 weeks. Peels do cause your skin to be more photo-sensitive after your treatment, so don't schedule your treatment soon before or after a sun-filled vacation, and make sure to wear and reapply a physical sunblock every single day! Schedule a consultation today with Mountcastle Medical Spa & Laser Center! One of our Master Aestheticians will work with you to create a treatment plan that will have your skin looking and feeling its best!